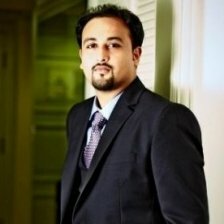 Abhi Bajpai is part of the central Technology Strategy team at Natwest. Over the last 10 years, he has worked with Tier 1 banks, financial service providers and technology firms to define initiatives where technology can be used to create customer value. At Natwest, he leads a small team to shape the bank’s technology strategy, investment and evaluate the application of emerging technology. Abhi is a Machine Learning enthusiast, likes to collaborate with peers and debate on the role technology will play in shaping our future. He is passionate about tech, science fiction, Chelsea and great sunsets!